• Are you beginning your first fitness program? • Are you returning to active fitness after a period of time? • Have you hit an impossible fitness or weight loss plateau? • Are you looking for an elite training approach? Whatever your needs, Arleigh Winokur gives everyone the same attention, expertise, focus and support. 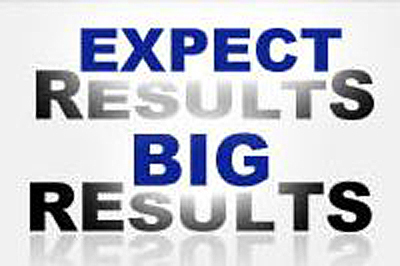 Expect results! Need an expert Mississauga personal trainer? With over 20 years experience, Arleigh is a true fitness authority in Mississauga, Oakville and the GTA. You can start right away with a FREE PERSONAL TRAINING SESSION! Arleigh is not the headline-seeking type. She's a camera shy, witty (just ask her Facebook friends) and effective Mississauga personal trainer who would rather just spend her time making your fitness and weight loss goals a reality. Learn more about Arleigh and the Personal Training Station by selecting About in the menu above. Who knew? We did, of course. We all realize that a proper nutritional program goes hand-in-hand with physical training, and we know what works and what doesn't. We have a very long list of satisfied weight loss clients who would give just a word of warning ... get ready to eat! Starvation does not work and in fact is counterproductive as it sets us up for a lifetime with a lousy metabolism. We teach our clients about the concept of fat storage (how and why we store excess fat on our bodies) and how to train our bodies to snap out of it. We will teach you how to "correct" your metabolism once and for all. As well, we teach the concept of the glycemic index, and how keeping our blood sugar levels happy is directly related to fat loss. Want to gain? We do that too! You won't find separate weight management and nutritional advice here, but they are included in most of our programs. Diet and exercise really are inseparable.